A late afternoon visit (one of a few over the years) found this pub welcoming and relaxing. Cottage Bristol Bulldog was sampled and in good condition and served well. Harveys Sussex Best and Fuller's London Pride was also on tap. Harveys drunk in previous visits has always been well kept. Worth the visit and no doubt, won't be our last. My partner and I had a Valentine's Day meal and I had the Kobe beefburger as my main course. It was excellent and worth the expense. We both enjoyed our 3 course meals and Anne got a complementary single red rose, as did all the ladies having a meal that night. 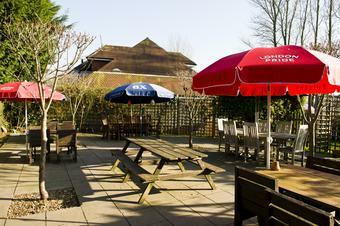 We thoroughly recommend this pub, whether you are eating, drinking or just socialising with friends. 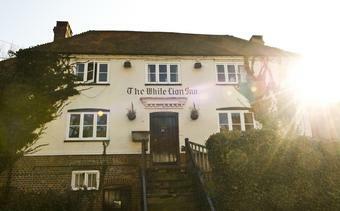 A great traditional village pub, unspoilt and with a good atmosphere about it. I will definitely go back when next passing. Very friendly small country pub that sells four real ales, together with the usual lager, cider, spirits and a comprehensive wine list. 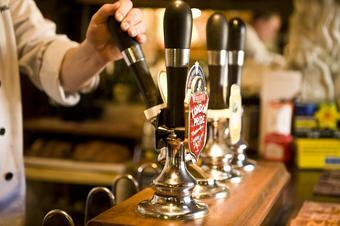 I can't comment on the wines as I am not a wine drinker but the real ales are well kept. My other half does drink wine and she says the quality is good There is no printed menu but the blackboard menu changes daily and includes many unusual items. The prices are mid-range but reasonable considering the freshness and quality of the produce used. This pub has the usual quota of "characters" but they seem friendly. Dogs are welcome and the pub has three of their own. Unfortunately, I am not a dog person but, nevertheless, we thoroughly recommend this pub. 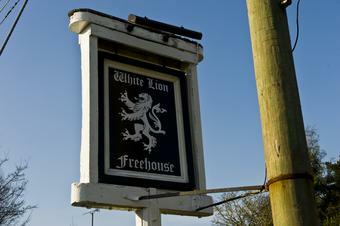 I have been a regular visitor to The White Lion in Thakeham for several years. 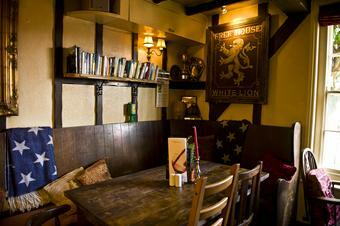 It is a lovely traditional and welcoming pub and it is nice to be able to sit in front cozy log fires in both bars. The food is excellent and the menu consists of a wide range of dishes including the locally sourced ingredients and the famous �15 Kobe steakburger, which is not often found outside of London. I definitely recommend this pub to anyone in the area.